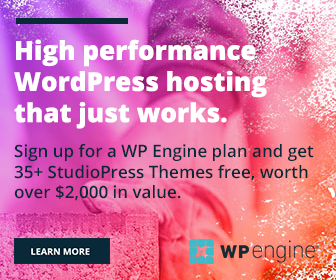 WordPress is the best platform for all your needs. You will get thousands of high-quality themes in online stores to start any type of site like fashion, e-commerce, photography, cookery, business, technology etc. That’s one of the main reasons why it is more popular than other blogging platforms. Photographers can showcase and sell their work easily with WordPress. If you have selected the right theme, we should concentrate on the plugins as next. We will get lots of photography plugins in WordPress library and now the time comes for choosing the best plugins among them. These are our favorite photography plugins for WordPress. 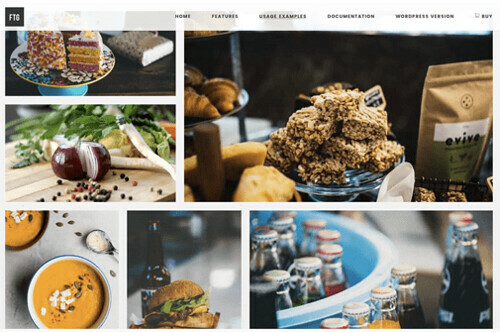 Envira Gallery is a premium plugin to show photos and videos in an attractive layout in WordPress. It contains several professional quality templates to make your gallery more beautiful and attractive. You can organize photos in albums, assign tags to them, choose cover photos and add slideshow etc for the best image browsing experience. The plugin is compatible across the devices and well integrated with social networks too. E-commerce store with image proofing, watermark and password protection are other important features of Envira Gallery. Meta Slider is one of the best free photography plugins to create slideshows in WordPress. Select photos from the library, set captions, SEO fields and drop them into pages for a slideshow. Very simple, is it? You can choose from four different types of sliders- Flex Slider, Nivo Slider, Responsive Slides & Coin Slider. They are responsive and come with awesome transition effects. Create photo contests and improve user engagements on your WordPress website. It is one of the most selling photography plugins from CodeCanyon that will add more value to your hard work and efforts. You can run unlimited contests at the same time with full control of the voting system. 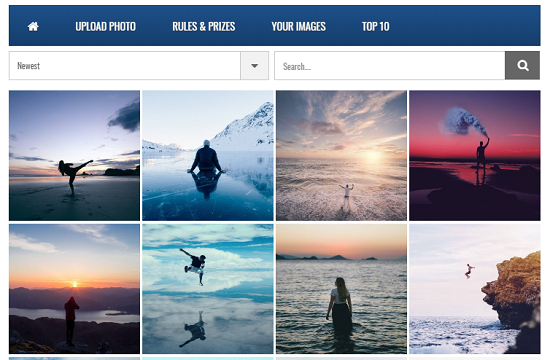 Photo Contest WordPress plugin is responsive, user-friendly, and offers 8 layers of fraud protection to prevent hacking attempts and automatic script injections which may be used by the criminals to manipulate the votes or make changes in the contest. It is fresh, unique and comes with free lifetime updates. Image Watermark is a useful plugin that photographer can’t avoid. It will automatically watermark images uploaded to the WordPress and the bulk watermark is possible for previously uploaded images too. Image Watermark will protect your work by backing up and disable copying. It allows you to customize watermark options in several ways including its position, opacity, image types etc. Speed is an important factor behind the success of any website. But if there are high-resolution images, speed naturally decreases. Imsanity will compress, resize images without affecting its quality. Just set the desired maximum width, height, quality for the image and the plugin will do the rest. Bring 360° image viewing experience to your photo works. It is one of the best photography plugins to showcase your talents and attract visitors. This CodeCanyon product delivers high-resolution images with 360-degree rotation. It is clean, beautiful, and allows you to add panoramic viewer on any page, post, widget or other parts of the website using a shortcode. The plugin is highly optimized for search engines, all modern devices and a great asset for the photographers to get new opportunities or sell the works. Sell Media is one of the prominent photography plugins that you can’t avoid. It lets you sell photos, prints and accept payments right from your own site. You can create photo galleries for clients, organize them in different price groups, create discount codes to attract more sales with this plugin. Cloud backup, password protection, sales reports, membership plans are other main features of Sell Media. This is another essential plugin for photographers. It allows your clients to place their booking and mention what kind of service they want. They can check whether you are available on that date, time and fill up with their details. As an administrator, you can accept or reject the specific bookings from the dashboard panel. The plugin is highly customizable and you can add the booking calendar anywhere in the website like posts, pages, and sidebar using shortcodes. It has a beautiful design and you can customize the appearance of the calendar to match your web theme. Photographers and Instagram are two coincides. No photography site is complete without an Instagram feed. This plugin will display your Instagram photos in ultra responsive, mobile ready layout with options to customize it every way. It will show images from multiple Instagram accounts in the same feed or in separate feeds along with options to follow you on photo sharing site. Final Tiles is one of the best premium photography plugins to showcase or create an interactive portfolio of your works. It lets you create unlimited galleries with highly-responsive layouts and mix both landscape and portrait images to give a unique look to your pages. You can embed videos amongst the images using this popular photography plugin of CodeCanyon. It comes with a user-friendly interface, easy to manage settings, 7 light boxes, and social sharing options. Final Tiles galleries are search engine friendly and work across the device types. WP-Invoice is a payment solution for business sites. It lets you create web invoice, send notifications to the customers with a secured link and get paid. It supports PayPal like several gateways and recurring billing for regular clients is another interesting feature of the plugin. Can you forget search engines? Certainly, not. Yoast SEO lets you configure posts, images and other parts of the site in a unique way. You can add alt attributes, meta tags to the image with the help of Yoast and drive traffic from the search engines. Social integration, XML Sitemaps, webmaster verification are other advantages of the plugin. A photographer will have a Flickr account, obviously. The photo-sharing site is the best place to create his or her portfolio along with their beautiful works. Add your Flickr gallery in WordPress to attract visitors and expand the followers’ strength.